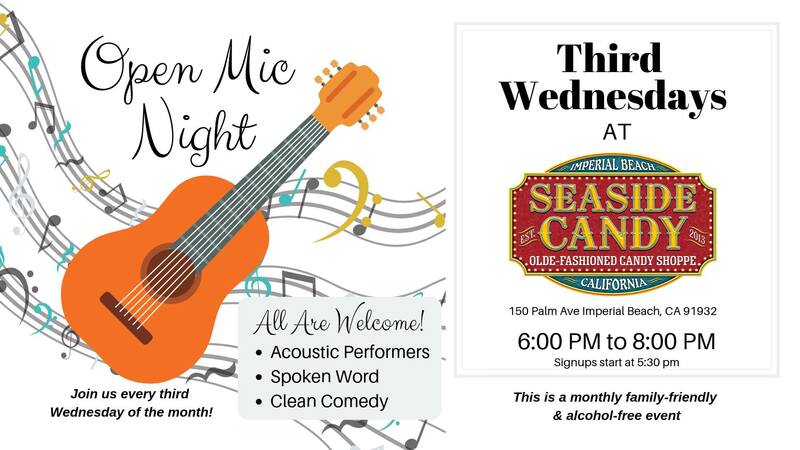 Reposted from @seaside_candy – 3rd Wednesday of the month open mic night! 6 to 8 pm at @seaside_candy in Imperial Beach. Clean comedy, poetry and acoustic performers welcome. .